Bats are incredible animals, and they are a great asset to the human population. They can actually eat up to a thousand mosquitoes in a hour. Bats are fascinating creatures with unusual habits, but they are not as spooky and mysterious as the images portrayed in movies and television. In fact, they share some simple characteristics with humans. For example, bats usually have one offspring and nurse their young with milk. The young are usually ready to fly in three to five weeks. In addition, they can live past thirty years of age. 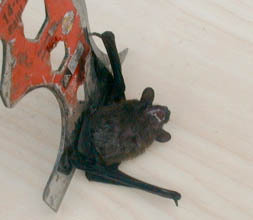 Most people fear bats because they can carry rabies. Thankfully, the chance of contracting rabies from a bat is very low. In the last 50 years, only 40 U.S. citizens have contracted rabies from bats. Despite these odds, I still recommend anyone who comes in contact with a bat, such as handling them or being bitten, should visit their doctor and possibly be vaccinated for rabies.You can also have the bat tested for rabies. 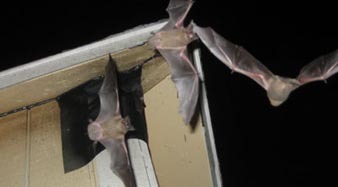 While we may worry about being bitten by a bat when we are outside, the real problem with bats goes to a whole different level when they are in your home, business or anywhere where there are people. They are noisy, disruptive and their droppings or guano is an unsightly nuisance that should be removed.These situations really need to be handled by a professional. 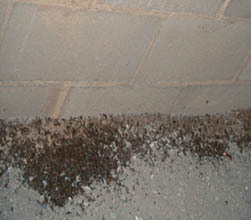 When bats are living or roosting in a structure there are several processes that must be completed to resolve this problem. EnviroTeam will provide an inspection to locate the entry point and exit points. All possible openings will be sealed and then EnviroTeam will install a device that will allow the bats to leave but not return. EnviroTeam can also provide any cleanup work on the contaminated areas. 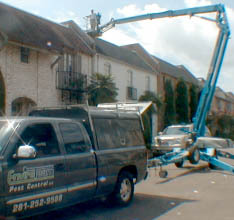 Whether commercial building, school, health care facility or residential, we have the experience to resolve your problem. EnviroTeam provides a one year service agreement that can be renewed yearly.